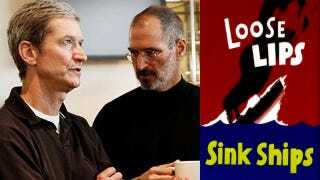 In the early 1980s Apple had a sign in its offices: "Loose Lips Sink Ships." The British World War II slogan was a reminder that extreme secrecy—Steve Jobs' obsession—was needed to succeed. Now, the secrecy—and all the excitement—is gone. But does anyone, except the diehard fans, really care?